This guest column is contributed by Larry Rosin, President of Edison Research. 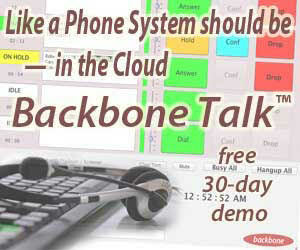 It was first published on The Infinite Dial blog. 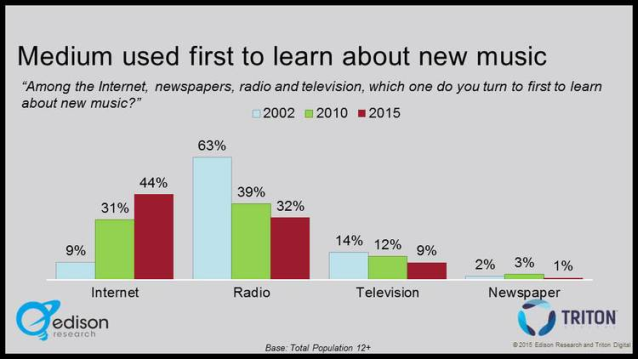 As the nearby graph shows, our tracking data shows that over the course of the last 13 years ‘Radio’ has been supplanted by ‘Internet’ as the source Americans turn to first to learn about new music. Whereas in 2002 Radio enjoyed a 7-to-1 advantage over Internet, by this year’s most recent study the Internet had blown past Radio by a sizable margin. The numbers among 13-34 year olds are, no surprise, much more dramatic. At the same time, it is clear that notwithstanding the above, artists and labels want nothing more than to get their songs onto the radio. Even as its place for ‘discovery’ drops, the importance of getting songs on the radio seems as significant as ever — or possibly even more so. I’m convinced that there is no conflict here. First off — radio remains a place many people go to discover music, even if it’s not the place. This can be seen in the graph below (which, unlike the graph above is among the half of Americans for whom keeping up to date with music is at least somewhat important). 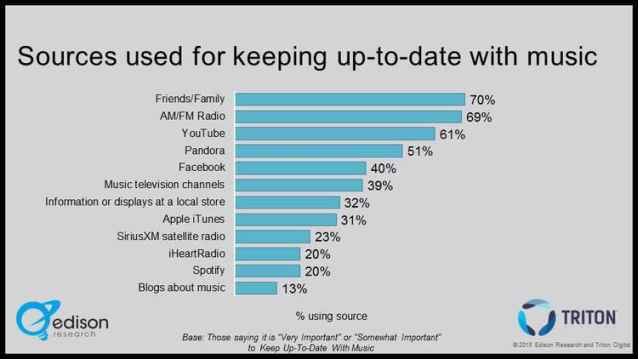 AM/FM Radio outranks any individual online platform, but it’s easy to see how many online options are part of this sphere. However, more to the point I believe is the role of radio really isn’t, for most people, ‘music discovery’ the way most people think of such things. While Apple thinks people will turn to their handful of DJs as taste-makers and to find out what is new and what one ‘should’ like next, most commercial radio stations in the USA don’t position their on-air talent as such. The romantic image of the DJ, walking into the booth with a stack of songs he or she is just waiting to introduce to the audience, is long-ago and far away. Instead, for most people radio is now where one goes to ‘hear what the hits are.’ Radio is where one finds the tiny subset of all the songs that have, by whatever means, broken through to that rarefied level. I assume that were the question: “Which do you choose to learn what the current hit songs are?” that radio would easily win. And — I’ll test my guess: We’ll add this question to the 2016 Infinite Dial survey. 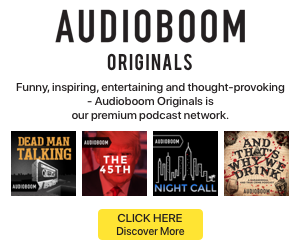 The world that began to change with Napster, then through to iTunes and Spotify and Pandora and all the other options, showed anyone who cared that the world of music was far larger than any single radio station, or any radio dial, could provide. However, in the pixelated environment of millions of songs, it is harder for any song to become a hit. Despite the rare “Gangnam Style” counter-examples, in most all cases the only way for a song to truly become a ‘hit’ is to get on the radio. Commercial radio’s role as a place for music discovery might be doomed — but that’s not true on the left end of the dial. Public Radio music station listeners benefit from real DJs in a real studio, with stacks of songs they can’t wait to play for you (and tell you a little bit about), within the genre-free context of great songs you already know. Plus you can hear it from anywhere on that crazy Internet. No wonder that piece of the radio audience is growing. Thanks Larry, your perspective is always useful and refreshing!